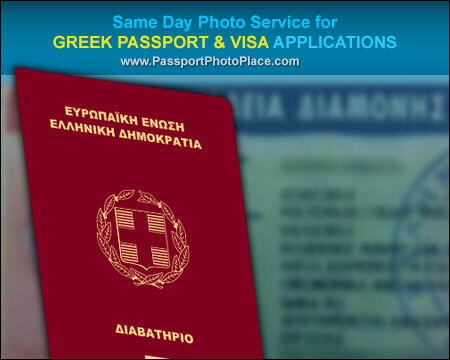 At Passport Photo Place, we take and print properly formatted and guaranteed to be accepted Greek passport and visa photographs within a 15 minutes appointment time. 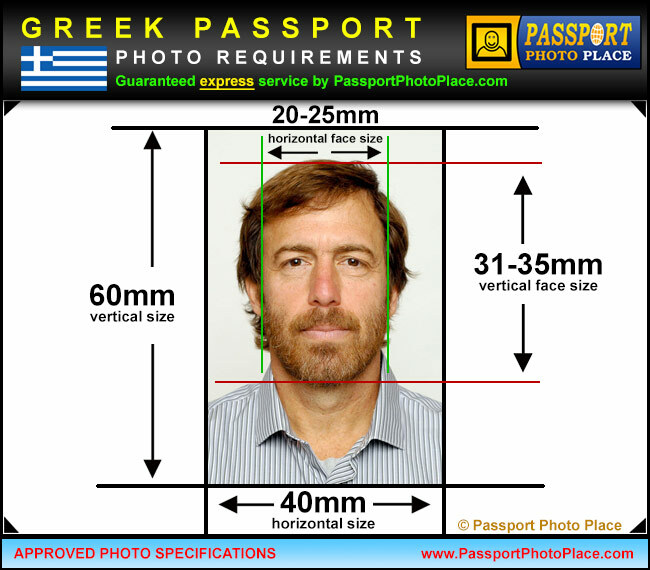 Greece passport photos are provided as printed version and are available as an electronic version if required. Greek Consulate General in Tampa advises to use a professional photography studio that specializes in photo studio services for legal travel and immigration applications. This helps to ensure that there are no delays in processing of Greece passport and visa applications and that all applications are approved within the normal processing time. Guaranteed passport & visa photo service. No Rejects! All Greece passport and visa photographs are taken and printed by the exact and updated requirements as provided by the Consulate General of Greece in Tampa, Florida. All photographs are taken in professional photo studio by a professional legal photographer that specializes in passport and visa photography for travel and immigration documents. Passport Photo Place takes professional and great looking photographs that naturally reflect a subject’s appearance. We use the latest and updated image acquisition and photo printing technology that allows us to produce passport and visa photos for Consulate General of Greece that comply to the official requirements 100%. Please wear a solid-colored top/shirt. White or slightly off-white tops are not accepted since the background for Greek passport photos is white and there must be a good contrast between clothing and the background. If glasses must be worn, only prescription and non-tinted glasses are allowed. Passport photo application requires you to submit one (1) current photo that is not older than 6 months. Examples of reasons for which Greek passport photos might be rejected: Closed eyes, eyes covered by hair, eyes partially obscured by glasses, other than neutral facial expressions, eyebrows rise, subject not looking into the camera, squinting or frowning, background shadows or other than specified background color and unequally exposed photograph, photographs that are older than 6 months.